When we first moved into our house I decided to paint our kitchen cabinets. I finished them in an aged white but I just didn't love the finish. Soooo in October I repainted the cabinets and I am so much happier. This is our Kitchen on the day we moved in. I do have a couple of things to finish still, I painted the brass foot rail in oil rubbed bronze and it needs to be put back on along with a piece of base board I picked up for the island too. There are also a couple of areas I need to touch up, I feel like I need a few days off to finish this project. We picked up some counter stools on Kijiji last year, and at first I thought they were perfect but they became a catch all for my purse, and coats. They were attracting clutter and driving me crazy. These are the stools we initially purchased which are now for sale on Kijiji. 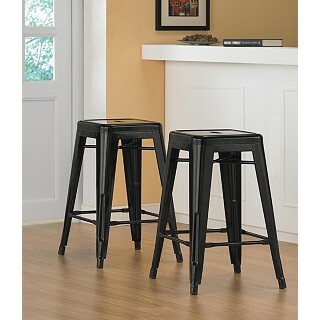 These are the stools I purchased to go in their place. I had to have them and Overstock does not ship these stools to Canada so I signed up with MyUs.com and paid for a personal shopper to purchase the stools for me then had them shipped to Canada. This process ended up doubling the price of the stools but it was worth it to me since I had to have them. I will do one more post on the kitchen once the foot rail and baseboard are in place with the new stools. 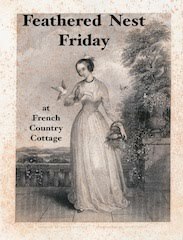 I hope everyone had a fabulous holiday!